End 2016 on a filmy note with these Hindi movies every fan has to watch! 2016 is about to end! What better plans than curling up in blanket during these winter days and watching the best of Bollywood this year with your loved ones? We give you a list of all the movies which you must see before the year ends! Situations and fate play such games that a wheelchair-bound chess Grandmaster and a grief-struck ATS officer come together to fight the blacks and whites of the real game of chess- LIFE. 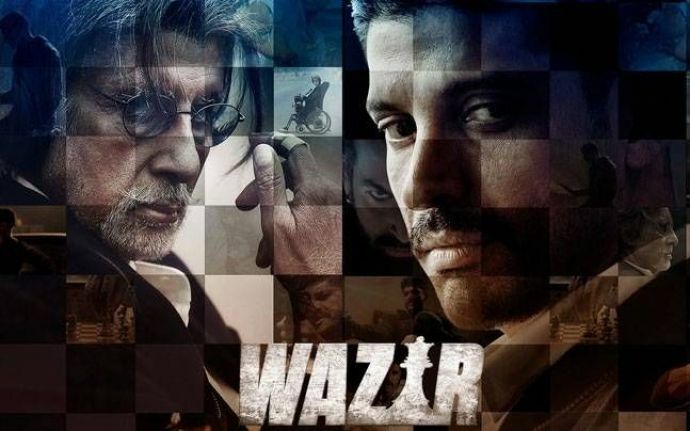 One of the best crime thrillers released this year, Wazir shows Big B and Farhan at their best and is worth watching for the chills it gives you. The emotional story of two teachers Vidya (Shabana Azmi) and Jyoti (Juhi Chawla), their bond over passion and love for teaching and the entry of a new wicked principal Kamini (Divya Dutta) with whom lies the fate of the administration, this dramatic storyline takes you back to your school days and reminds you of your favourite teachers. The magic of Vidya and Jyoti on the silver screen is indeed worth a watch. Adi Tomar (R Madhavan), a victim of the politics of the boxing association and a failed boxer himself, becomes the coach of a women's boxing team after years. He decides to invest his efforts in the roadside fish seller Madhi. With Madhavan’s charm as an angry coach we also saw a new face in this movie, real- life boxer Ritika Singh. The fresh talent and inspiring storyline did grab attention. 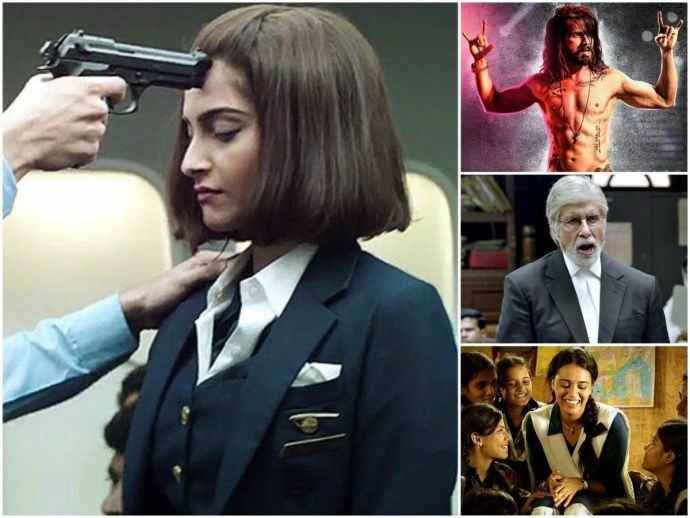 The inspiring and emotional story based on real incidents from the life of nation’s pride Neerja Bhanot actually became the one which salvaged the failing career of Sonam Kapoor. 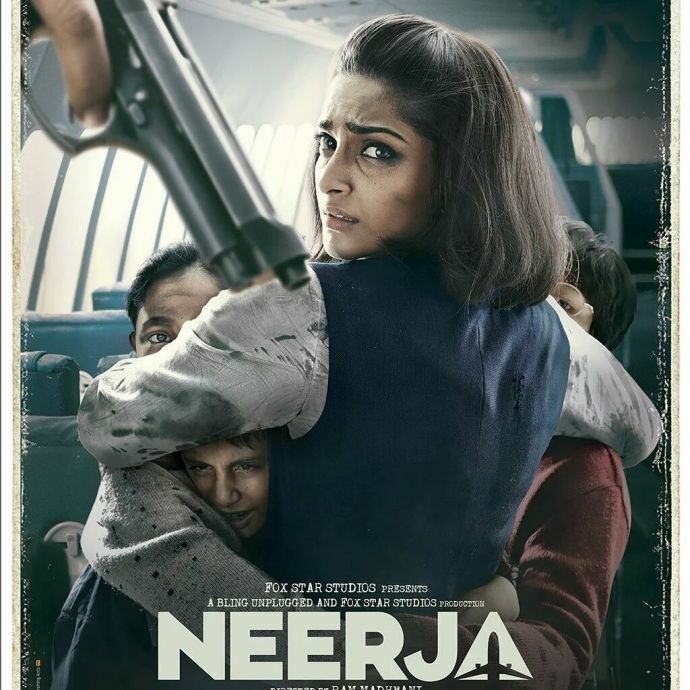 People could not help shed tears for Neerja, and at the same time feel proud of her and her courageous deed! You indeed gave us motivation this year, Neerja! 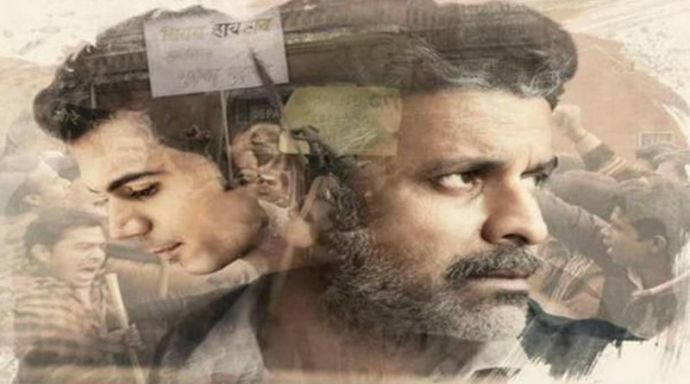 This biographical drama was one that Manoj Bajpayee owned and nailed! Based on the real story of Professor Shrinivas Siras and the society’s criticism of his sexual orientation, this film is MUST watch. Also stealing the show is Rajkumar Rao as an amateur journalist whose hunger for a good story introduces him to Siras and eventually creates a bond. What you must know is that this movie’s premiere at the 20th Busan Film Festival received a standing ovation. With a hard-working mother and a typical teenage daughter, this is a comic yet moral based story of the struggles of maths and life. 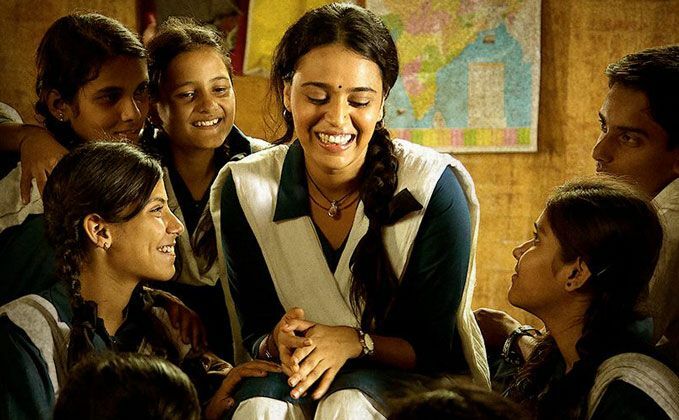 Chanda Sahay (Swara Bhaskar) takes it on her shoulder to compete with her daughter Apu in the class uniquely emphasising the importance of hard work and education. This quirky take on value education is a must watch on your list! 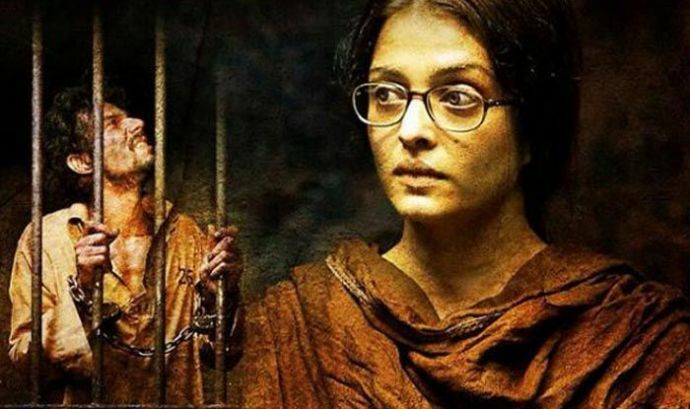 A biopic on one of the most controversial prisoners, Sarabjit Singh, depicting the struggle of a helpless sister and the effect of his imprisonment on the wife and kids, the movie is worth every drop of tear. It has recently been nominated for the Oscars, so need we say more? Yet another suspense thriller with a great cast. 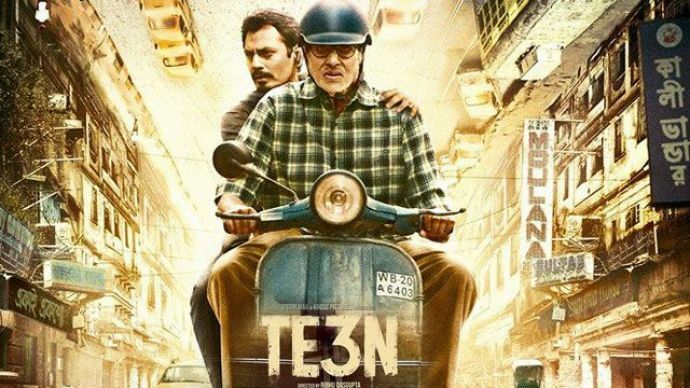 This movie expected to keep us on the edge of our seats with actors like Amitabh Bacchan, Vidya Balan and Nawazuddin Siddiqui although it could not fetch many to theatres. However the suspense-crime plot can be a good watch for thriller lovers. Being in news for all the right reasons, good or bad, if you have missed this movie you have a major miss out! Putting on screen the realities of a state, the lives of drug addicted people and a very strong message to give, this movie tops the must-watch charts. 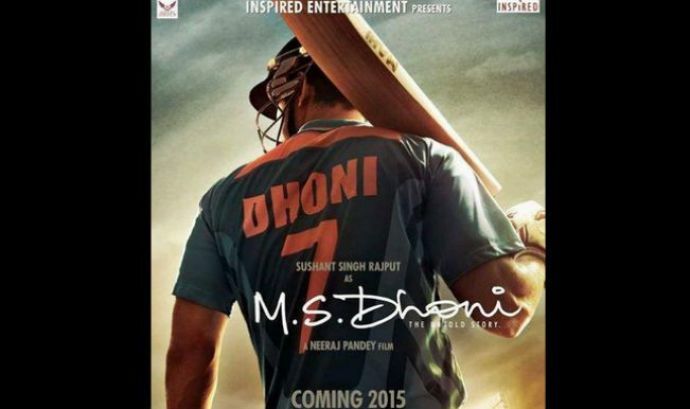 Thanks to it, Bollywood also welcomed a new talent in, the Punjabi Gabru Diljit Dosanjh! Also stealing the show were the cream actors Kareena, Alia and Shahid. A typical dark, suspense filled psychotic Anurag Kashyap thriller. 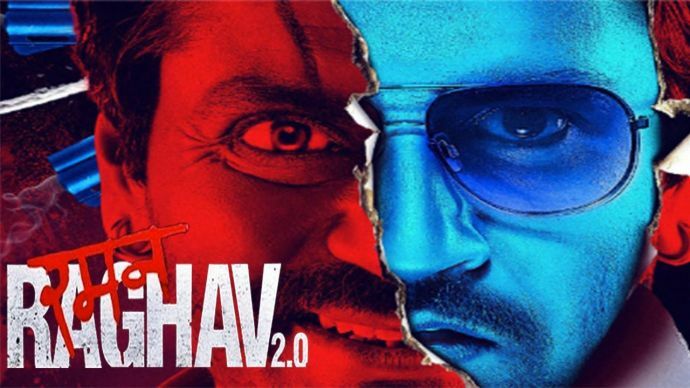 Raman, the psycho killer and Raghav the cop keep you guessing the twist and the plot throughout. A little dark for general audiences, this movie must be on the list of those who love crime and suspense thrillers and are “Ph- se Phantom" fans! Screw the rest , it is Bhai ki Movie hence MUST-WATCH! Here is the master of entertainment back with muscles! The story of a middle-aged wrestler who goes into the ring again to prove his love and thus break bones and stereotypes! Anushka and Salman obviously rule the screen. Worth a mention however is the hot-shot businessman in the movie, Amit Sadh. 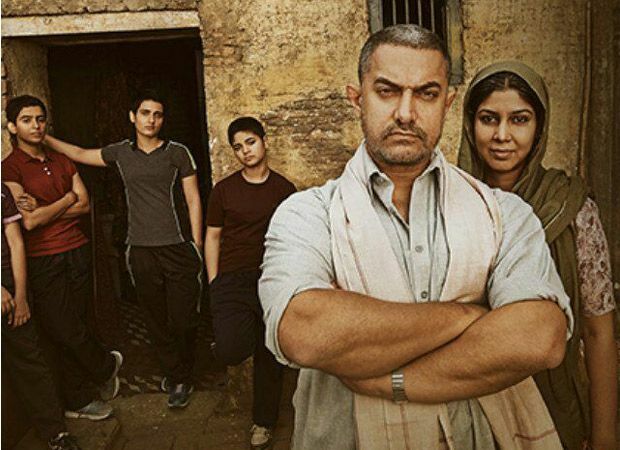 As inspiring as it is funny, Indian audiences heart this movie! Irrfan Khan at his best, this thriller drama is again for suspense thriller lovers. 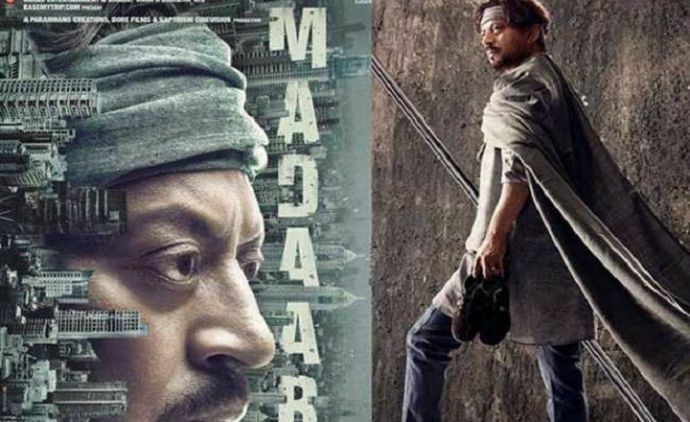 A crisp and edgy plot along with the skill of Master of Emotions Irrfan, do add to your list. The movie that does not tell you what to be, but teaches you HOW to be. A must watch for everybody, this movie mirrors everything unfair, wrong yet justified by this society and its double standards. A show stolen by the girls and owned by Big B! This year’s flag of feminism, kudos to girl power! The man you know, the journey you don’t! 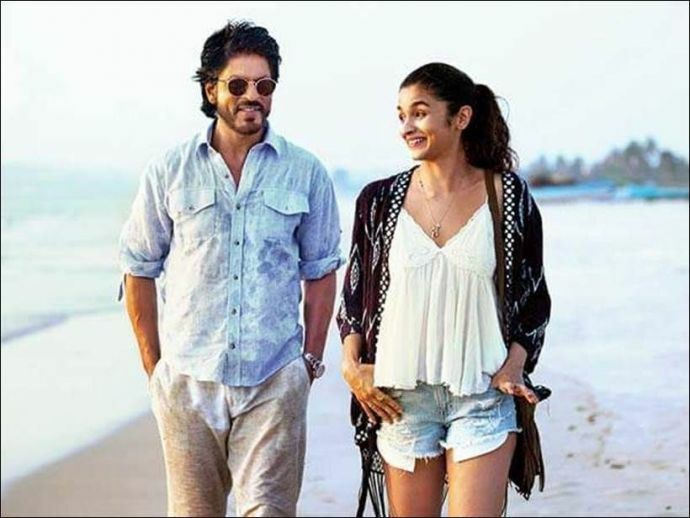 Is it okay not to be okay, Dear Zindagi? This coming of age story of the confused yet clear, broken yet courageous Kaira is every youth’s mirror! The not-so-larger-than-life SRK makes the best and cutest DD (Dimaag ka Doctor) this year. My personal fav! Based on the real life story of Budhia Singh, the world's youngest marathon runner, this film boasts of wonderful performances by Mayur Patole as the titular character, and Manoj Bajpayee as his coach.